Ross Ellis, founder of Love Our Children USA and STOMP Out Bullying is a dedicated and devoted crusader to help protect children in our country. Recently she wrote a fantastic and timely article to help protect you and your teens during this holiday season. Cyber Monday is a very busy time online. Here are some great tips by Ross Ellis – and as a Parent Advocate, I believe everyone needs to take the time to learn more about keeping you and your family safe in cyberspace! Cyber Monday is 6 days away, for those online shoppers who want a great deal on their holiday gifts. 61% of consumers are shopping online and that includes teens shopping online as well. Did you take part in Black Friday? Many people set their alarm clocks for those 4:00am sales. Everyone is looking for a bargain. In a year that has been less than financially friendly to many families, these early morning sales can help them make a difference in giving their child that special gift they asked for. During this time of year, it is also time to think about so many gifts that won't cost you money, however will be priceless in their value. Your time. It is that simple, your children crave your attention and would love to have more time with you. Can you make a promise to take more time out of your schedule and give it to your child? Learn about "Family Time Out" all year round. Are you a parent with an at risk teen, considering a residential treatment center? Maybe a therapeutic boarding school? Do you have a good kid that is making some not so good choices? Are you at your wit's end? Please read my earlier post on a variety of programs including Midwest Academy. ALERT for parents - especially at your wit's end. Sue Scheff: LYING - Why do Teens Lie? 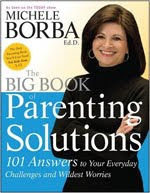 Part 10 of my sneak peek inside the BIG Book of Parenting Solutions, written by parenting expert, Dr. Michele Borba, brings us to a topic that I hear about frequently - LYING. Why do our kids lie to us? What is the motivation? Where did they learn this habit from? Is there really a difference between a white lie and not a white lie? Let's explore this subject. There is an entire chapter on lying starting on page 173. Are you a parent with an at risk teen, considering a residential treatment center? Maybe a therapeutic boarding school? Do you have a good kid that is making some not so good choices? Are you at your wit's end? Please read my earlier post on a variety of programs including CrossCreekAcademy. ALERT for parents - especially at your wit's end. Are you a parent with an at risk teen, considering a residential treatment center? Maybe a therapeutic boarding school? Do you have a good kid that is making some not so good choices? Are you at your wit's end? Please read my earlier post on a variety of programs including RedRiverAcademy. ALERT for parents - especially at your wit's end. Are you a parent with an at risk teen, considering a residential treatment center? Maybe a therapeutic boarding school? Do you have a good kid that is making some not so good choices? Are you at your wit's end? Please read my earlier post on a variety of programs including Horizon Academy. ALERT for parents - especially at your wit's end. Parenting teens can be challenging, and helping the to understand the importance of completing their homework is critical in their high school years. Here are some great tips from OneToughJob.org. In general, just when grades are becoming more important, school and homework may not be your teen’s top priority. Teens spend more and more time with friends and may become involved in extracurricular activities. Try to find a balance between respecting their desire to establish their independence and continuing to show an interest in and support their education, even though they may not always want or need it. Holiday’s are known as joyful time of the year, however it is also a time we hear more about suicide. Holidays can also bring on sadness and depression to those that are suffering with a loss or simply unhappy in life. It is important we understand warnings signs. Carolyn Friedman, is working on her Masters and recently wrote an excellent article on “10 Common Myths About Suicide.” She asked me to share it with my readers. Take the time to read and learn more. You never know when you may need this knowledge. Are you a parent with an at risk teen, considering a residential treatment center? Maybe a therapeutic boarding school? Do you have a good kid that is making some not so good choices? Are you at your wit's end? Please read my earlier post on Magnolia Christian School. Part 7 of my sneak peek into Dr. Michele Borba's world! Actually into her BIG BOOK of Parenting Solutions, we will explore a characteristic in teens and children I hear from parents a lot - DEFIANCE! Labels, labels and more labels. Today we will talk about a common label "ODD" also known as Oppositional Defiant Disorder. Constantly resists your simplest requests, questions authority, pushes every limit; is blatantly disrespectful, noncompliant. Turn to pages 76-85 and be prepared to learn all you ever wanted to know about defiant behavior. This includes signs and symptoms, how to change and why to change, and most important early intervention as well as detailed steps to help you be an educated parent. Michele Borba offers great advice and resources to help you help your child. Could Your Child Have Oppositional Defiant Disorder (ODD)? Sue Scheff: VolunteerSpot - Tis the Season! It is always better to give than it is to receive. We hear that a lot and for good reason. It is true! This is such an important topic, there will be two parts to this article. VolunteerSpot is a fantastic organization designed to help you give back to your community. There are no more excuses! During this holiday season, take the time to learn more about your neighborhood and what their needs are. 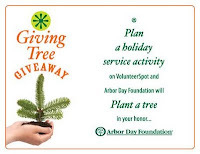 The founder of VolunteerSpot, Karen Bantuveris, recently took time to answer questions about her mission and hopefully will give you inspiration to take steps to help others this holiday season and all year round! As part of my continuing series of Dr. Michele Borba’s insights and sneak peeks inside her Big Book of Parenting Solutions, we will review signs and symptoms of an ungrateful child. Obsessive-Compulsive Disorder (OCD) is a topic we are hearing more about. As a parent, we need to be aware of the signs to determine if your child may have tendencies and if so, to address them early. Recently, Connect with Kids posted an informational article with great parenting tips and resources about OCD. About 2.3 percent of the U.S. population ages 18 to 54 – approximately 3.3 million Americans – have OCD in a given year. 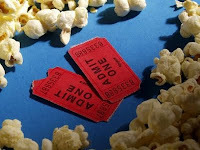 Do you know what your teen does at the movies? Movie Etiquette - talk to your teens. As a frequent movie goer, I must say if parents could see how their teens are acting in public, they would be more than humiliated. I am not saying my teens were perfect, I am almost afraid to ask them at this point (they are young adults now). I will take it a step further and say I don’t remember my generation having this much lack of respect for others, especially those in authority. Then I was thinking, I am sure their parents don’t know and maybe if they did, they would speak with their kids about this behavior. With this, I am going to share with you some less than appropriate behaviour I have witnessed, and hoping that parents reading this will sit down and talk with their teens about what happens when they go to the theatre. 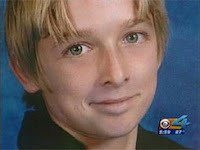 After one of the most horrific acts of violence by teens in South Florida, which left 15-year old Michael Brewer with burns over two thirds of his body, 3 of the 5 teenagers accused of this despicable crime will be tried as adults. This is a strong and solid message by Broward Circuit Judge Lee Seidman. What type of child or teen does this unconscionable act to another person? It is very disturbing to believe this type of violence exists and that bullying can reach a level of nearly killing another person. Should minors be charged as adults? In some instances, such as this one, many believe that to be true. This crime was so heinous that adults have a hard time comprehending how anyone could do this to another person. As a parent we need to take the time to talk with our children about this incident. Open up your lines of communication, talk about bullying, discuss consequences and answer their questions and concerns honestly. I created my organization, Parents Universal Resource Experts in 2001. Many parents contact us for assistance when they are at their wit’s end with their teenager. Parenting has so many more challenges since 2001, with the ever expanding technology that seems almost impossbile to keep up with. Now bullying has escalated to cyberbullying. Texting has created sexting. For parents, teachers and most adults, we are struggling to keep up. Today I speak a lot about protecting your teens online – what they post today, can haunt them tomorrow. More and more colleges are using Search Engines to research their candidates, do you know what Google is saying about your potential college applicant? Sue Scheff: Cyberstalking and Internet Defamation Documentary - Don't Miss It! For everyone and anyone that is reading this, you use the Internet. I recently watch the most compelling and disturbing documentary. I almost feel like Oprah when I say – you have to watch this! I have never been so moved to anger, rage, and other emotions that we are now confronted with because of monsters that lurk online. 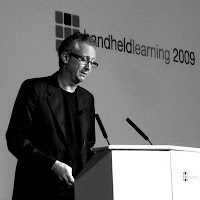 My recent book, Google Bomb, is the tip of the iceberg after watching this film. The victims, and now crusaders, in this film contacted me after hearing about my book and my own experiences. Many people that have read my book say they have nightmares if they read it before going to bed. I never really understood that. Until I watched this documentary and lived it through other’s lives. My story is horrible, what I endured, however since I was so enmeshed in surviving on a daily basis, I didn’t realize how traumatic it was. I know many of you have limited time. Watch this 50 minute film in segments if you have to, but watch it. One in 7 American ... 32 million ... can't read according to a new study released by the U.S. Department of Education. And some among those millions are hiding their illiteracy from their family, friends and their teachers. They can't read, but they're brilliant at keeping it a secret. Chad, 18, was one of them. He remembers the embarrassment he felt in the 5th grade. "When I had to stand up in front of class or read out loud, for like, English, I couldn't do it," he says. Chad was reading at a 2nd grade level. Yet, year after year, he was promoted to the next grade. How did he do it? "[I] kind of, like, disappeared," he explains. "Went into the corner, I always kept my head down when we had to read." Its seems that bullying is a growing and stinging problem. Years ago we remember being teased or made fun of, but today it seems bullying has become more vicious and malicious. We now know that sticks and stones can break your bones - but words CAN hurt you! 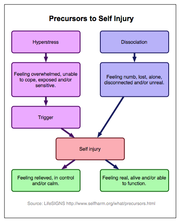 The emotional damage can sting a lot longer than a physical injury. Take the time to be an educated parent. Here is a timely article from Connect with Kids with some great tips and resources. – Stacey DeWitt, President, Connect with Kids, Inc.